International Hot Rod Association - D9 Team Finals Postponed, Summit Super Series Race Contested During D1 Summit Team Finals Saturday October 3rd. D9 Team Finals Postponed, Summit Super Series Race Contested During D1 Summit Team Finals Saturday October 3rd. Due to pending severe weather the IHRA D9 Raiders Summit Team Finals event will be postponed. A rescheduled date is currently being determined and will be posted as soon as possible. With the upcoming Summit Super Series World Championships in Memphis just a few weeks away, the D9 Raiders Summit Super Series runoffs will have to be contested during the D1 Patriots Summit Team Finals event at Piedmont Dragway on Saturday October 3rd. 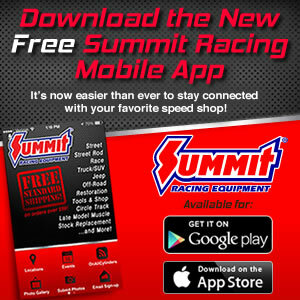 The two Summit Super Series runoff events will be run separately as originally planned. All D9 Raider Summit Super Series contestants will be allowed to compete in the gamblers races during the D1 Summit Team Finals event as a courtesy for the inconvenience. D9 Raider Summit Super Series representatives will also be welcome to return to the rescheduled date for the D9 Raider Summit Team Finals event to compete with their team.